A vital piece of kit - we all own a pair! If there’s one failing of most warmers it’s that they absorb water like a sponge. On rainy days they end up waterlogged and providing compromised warmth. 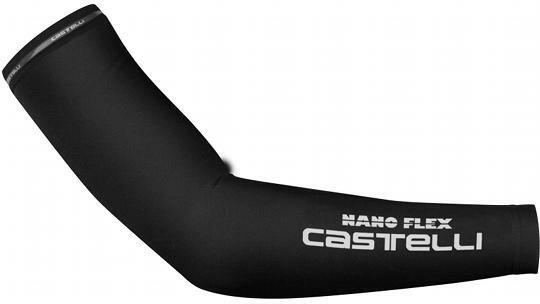 Nanoflex is a proprietary Castelli fabric. We begin with our super-warm and ultra-stretchy Thermoflex fabric, used in many of our winter garments, and then we coat the outside with ultra-tiny nanofilaments that cause raindrops to run off the fabric without soaking through. 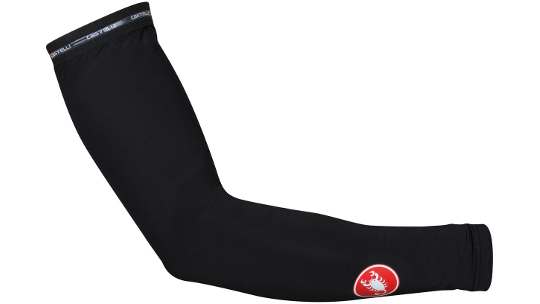 Despite its water-resistant finish, Nanoflex fabric remains highly breathable, keeping you comfortable in almost any conditions.